This…and another unfortunate thing to go unmentioned…I suffer because I went into work yesterday. Yes, it seems it was announced yesterday that it will be announced today what actor or actress is taking over the helm of Doctor Who as the 11th Doctor. All of this and a bit more on a holiday afterbirth special edition of Doctor Who Confidential to be broadcast on BBC1 at 5:35PM, their time. Now…I already wrote my silly, ugly-American rationale for who I would have liked in the running…but I nearly immediately wanted to write more…won’t actually admit to having thought of including Malcolm McDowell’s name…and have become quite more of an educated ugly-American recently. Most hotly on my mind at the moment is the actor James Nesbitt. I had seen his name bandied about in Doctor Who discussions in the past, but had never seen him in anything. In the last few days I finished watching the 99% brilliant BBC series Jekyll, written by incoming Doctor Who executive producer Steven Moffat, in which James Nesbitt incredibly portrays a modern Dr. Jekyll and Mr. Hyde displaying all the emotions, idiosyncrasies, mania, and more that one could desire out of a Doctor. For me personally, he has leapt into contention with Bill Nighy for the perfect choice for the 11th Doctor and could bring something like the oddness of Tom Baker, but with a lurking passages into darker moments lying in wait. One of the other great elements of Jekyll, was its unique use of unique villains, one of which, Benjamin, was played by everyone’s favorite for the 1tth Doctor, Paterson Joseph. Again, I had seen his name floated around quite prominently, but had not had the ability to see anything he had been in. While I have my own favorites for the role and wish someone other than what appears to be the obvious win the prize, Joseph’s caricatured villain in Jekyll and the more realistic character I’ve just glimpsed him play in the series Survivors, proves him a talent more than worthy for the challenge. Looking back on my previous thoughts, I also feel guilty for mentioning Mark Gatiss in support of a David Walliams hiring, but didn’t give him his own due for the part. A great actor and writer, from League of Gentlemen fame, he is also a great Doctor Who fan, as evidenced in his series of spoofs with Walliams, including one in which he did play a compelling Doctor. However, he is such a Doctor Who fan that he has written for and also already prominently acted in the series, which does sour the idea somewhat. Of course, so too did Colin Baker. 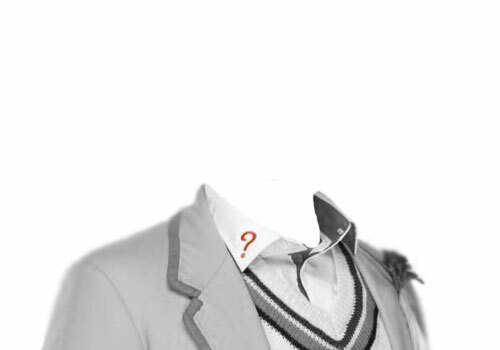 Of course…so too…did…Colin Baker. And while we’re talking about the Doctor’s “dying of the light”, apparently 7th Doctor Sylvester McCoy mentioned that he would like to see comedian Billy Connolly take up the role. I love Billy Connolly. And actually, dramatically or otherwise, he might have been the only half-decent thing in the The X-Files: I Want to Believe film. He could indeed be a lot of fun, but I should want to see him more completely foul-mouthed than the role allows. Another far-fetched idea that I was in love with was someone bending time over itself and spanking it to make possible Paul McGann semi-reprising his short role as the 8th Doctor as the 11th Doctor. After the BBC series ended with Sylvester McCoy, many years passed before a partnership with Fox attempted to revive the series with a TV movie. The movie was fairly fine and Paul McGann shone…just shone as the Doctor. Alas, it was not picked up and, although radio plays and novels will have you believe differently, the next we saw the Doctor he had a bad haircut, floppy ears, and a leather coat. While it would be some queer bastardization of logic to make it so, I hope in some way Paul McGann can return to the series as it would indeed be unfortunate that we may not see Paul McGann’s Doctor again. Most unfortunate of all, however, is the fact that if it is to be revealed tonight and has been under wraps over the holidays, presumably the actor or actress should already know, which does rule me out unless of course my insanity is coupled with other sicknesses that fracture and destroy my very knowledge of myself. On a last, dark, dying note…I am beginning to fear that they will actually anti-climatically choose some vanilla sod who will be a looker to be sure, but will bring nothing of mystery or mania to the role, forcing producers once more to paste question marks all over his costume in order to remind the audience of the show’s missing quality. January 4, 2009 Matt Smith…Doctor Who?